Open-air exhibition of historical planes. 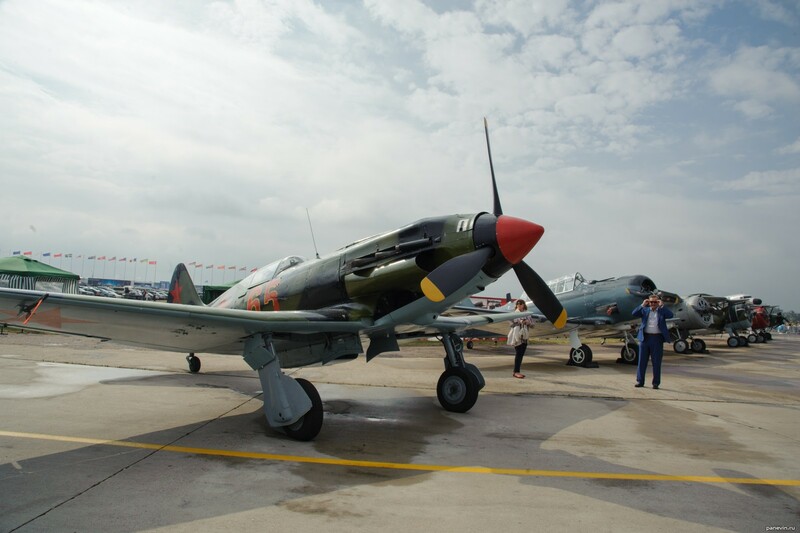 In the opening day of air show MAKS-2015 this «grandfather» has flown by together with «grandson» MiG-35. Behind MiG-3 there is American Texan Т-6, times of Second World War too.